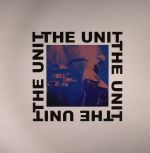 Review: Having proved their stripes live with an extensive tour last year, Theo Parrish's live supergroup get busy on the release front. With Theo and Amp Fiddler both on keys and vocals and Myele Manzanza on drums, the grooves on both sides are that perfect balance of dancefloor tightness and a loose funk from players who are confident in each other's abilities. Skye cover "Ain't No Need" is a swinging broken beat adventure with rolling frenetic drums where the keys wrap around the vocals like a thick tog duvet. "Walkin Thru The Sky", meanwhile, takes us back to 1996 and Theo's Baby Steps EP. With a strutting rhythm and insistent hook, it's a perfect example of how house music can be executed live with perfection.